Voices for handheld, desktop, and server applications. Is there a better alternative to Cepstral Voices? Is Cepstral Voices really the best app in Audio category? 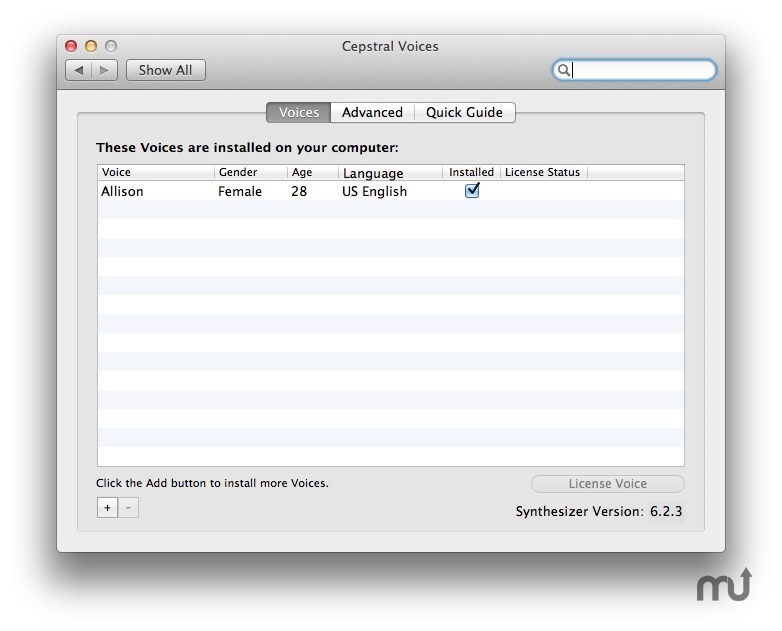 Will Cepstral Voices work good on macOS 10.13.4? Cepstral Voices provides voices for applications. Cepstral is a speech technology company based in Pittsburgh, PA, USA which provides speech technologies and services for the spoken delivery of information. We build high quality, natural sounding voices (which integrate directly with the Apple Speech Manager) for hand-held, desktop, and server applications. Cepstral: We Build Voices. Allison now has 20% more source material, making this favorite even better! Alejandra is a new high quality Americas Spanish voice. The character voices Dallas and Belle are now available for Windows.